Make It Your Saturday Place is a FREE Kids Event held every second Saturday of the month. 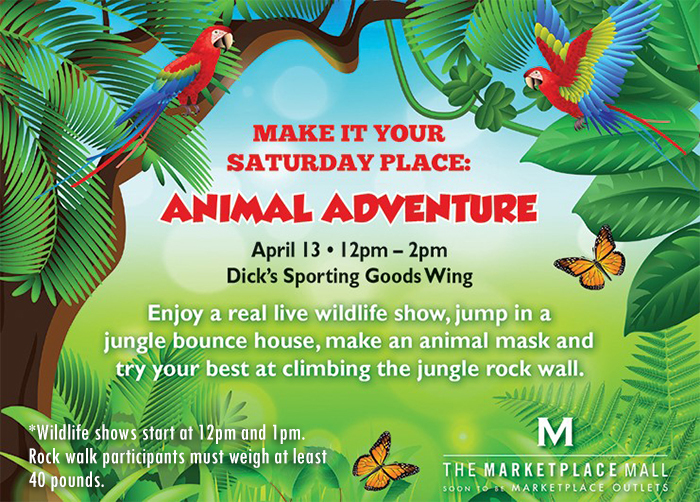 On April 13 (12pm - 2pm) Kids are invited to enjoy a real live wildlife show, jump in a jungle bounce house, and make an animal mask. *Wildlife shows start at 12pm and 1pm. **Please note - the jungle rock wall will not be at the event, we apologize for any inconvenience.